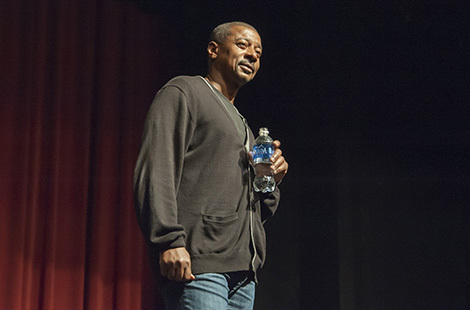 Acclaimed actor, director and producer Robert Townsend shared some of the life lessons he has learned over more than 30 years in the entertainment industry at CSUN’s Commerce of Creativity Distinguished Speaker Series. Read more about the presentation. Thousands of people from around the globe will gather in San Diego this month for the world’s largest event dedicated to exploring new ways technology can help those with disabilities. Read more about the conference. From the hills of the San Fernando Valley to crossing the Boston Marathon finish line in first place, CSUN alumna Jacqueline Hansen ’74 (English) has blazed a trail as a leader in the sport of running. Read more about her hall of fame career. Thu., March 13, 5:30 p.m.
Fri., March 14, 8 p.m. Thu., March 13, 8:30 p.m.
Health sciences alumni and students are invited to a workshop on how to stand out and land a job in the field. Registration required. Calling all CSUN alumni in the San Diego area. Join fellow Matador grads for a networking mixer. Nearly 400 mostly African-American high school students visited CSUN on Feb. 28 as part of the Harambee High School Conference’s efforts to expose and encourage young people to attend college.